We offer two different types of Gearbox Style timing devices these gearboxes allow you to very accurately adjust the alignment of your shafts. The Positioner is for shafts that travel in the same direction, while the Differential is designed for shafts that are travelling in the opposite direction. The Candy Positioner, POSI series, is a phase shifting mechanism used to accurately adjust and "fine tune" the timing relationship of machine actions. In normal operation, the Positioner is a 1:1 phase transmission with input and output shafts rotating in the same direction. When the control shaft is rotated, a differential action occurs between the input and output shafts. This adjustment may occur while the machine is in the static position or while running. By providing "on the fly control", the Positioner eliminates costly downtime associated with production set-ups and changeovers. 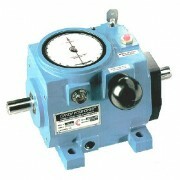 The Candy Differential is a precision timing mechanism used to advance or retard timing of mechanical actions. 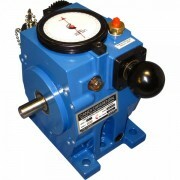 Installed in the drive train of the component to be controlled, these timing differentials may be manually or motor adjusted while running or stopped.